Gavin Moynihan struggled to make waves on moving day and will need to go low tomorrow to take the title at the Afrasia Bank Mauritius Open at Anahita. 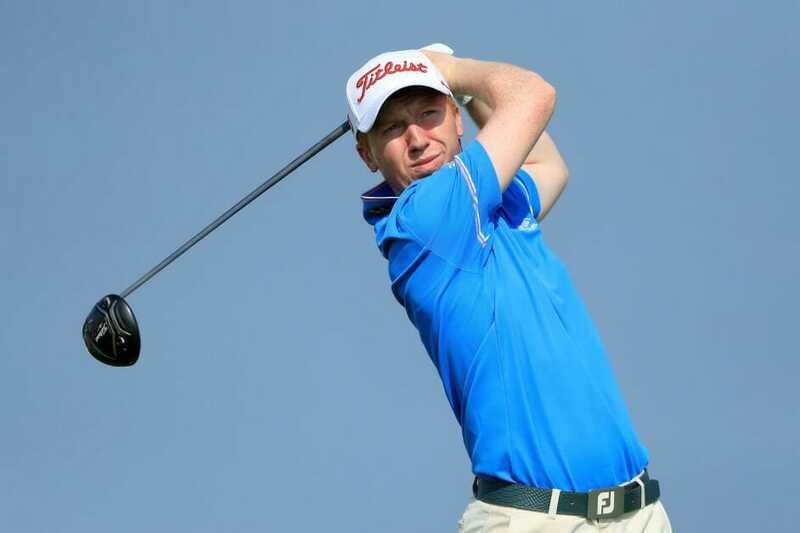 The Dubliner, who secured one of the last available tour cards at Q-School earlier this month, had fired a stunning 65 yesterday to surge into contention but he failed to replicate that putting performance in a frustrating third round today. The Mount Juliet professional only managed two birdies in a one-under-par 71 and now trails by five, currently in solo seventh on 11-under-par. The wide fairways and narrow greens at Four Seasons Golf Club seem to be playing to Moynihan’s strengths but he’ll need a hot short-stick tomorrow coupled with some luck to get his season off to the best possible start. In-form Justin Harding fired a stunning 64 to equal the low round of the week and catch overnight leader Kurt Kitayama heading in to the final day in Mauritius. The South African, who has won twice on both the Asian Tour and the Sunshine Tour in 2018, has a first European Tour title in his sights after joining Kitayama at 16 under par with a bogey-free round at the Four Seasons Golf Club Mauritius at Anahita. “I never really like to think about things as I walk down the holes but I really felt like I played pretty well today,” said Harding. “I had good control, especially in the first 10, 13 holes. I kind of felt like I could birdie every hole out there. “It’s a tough day though because, at this golf course, if you miss it in the wrong spot you’re going to get hurt. I thought there were some good pins out there, especially on the back nine. Ones where if you’re on the wrong side of the holes, you had no chance. So, I kind of managed my game well. Hit it to 20 feet where I could and see if I could make a putt. Qualifying School graduate Kitayama of the United States had soared into the halfway lead after back-to-back rounds of 65, and he carded three birdies and a single bogey in a third-round 70 to stay on top. India’s S Chikkarangappa, Frenchman Matthieu Pavon and Masahiro Kawamura of Japan – who also secured his 2019 European Tour card through Qualifying School – are three shots behind the co-leaders on 13 under par. Victor Perez of France is in sixth place at 12 under par, with Ireland’s Moynihan one shot further back. South African Oliver Bekker, Germany’s Max Schmitt, Clément Sordet of France and Scot Grant Forrest are all on ten under par.